For air conditioning service in Plano, TX folks have been depending on with complete certainty since 1968, turn to Devard’s. Our 100 percent customer satisfaction policy means we’ll get the job done right — whether you need something as simple as a small AC repair or choose to depend on us for a complete HVAC system replacement. No company has more experience at installing the best air conditioner for your home or business and keeping it running right. Our company is based around a team of dedicated, licensed and experienced technicians with the skills and expertise to meet all your air conditioning, heating and plumbing needs. Why not contact us now and let us get started for you? All of our technicians are experts who are qualified and certified to do any kind of air conditioner or heater repair. We understand how important your property is to you and do everything possible to prevent further damage. We get the permits your project requires according to Plano ordinances and comply with all building codes. We can help arrange financing for you, if necessary. We take credit cards without any hassles, giving you the greatest possible payment flexibility. We use only authentic parts when available, not seconds or knockoffs. If you have a look around, you may see our trucks in your area satisfying Plano folks like you right now. We’re always out there working for you and your neighbors. Whether your system has already failed, is failing or simply isn’t performing at its highest potential, we can take a look at your air conditioner, heater and ductwork and see what’s wrong. There’s surely a solution, and we have the lengthy experience and the deep and wide training necessary to find it and put it in place for you. Isn’t it time to contact us now? 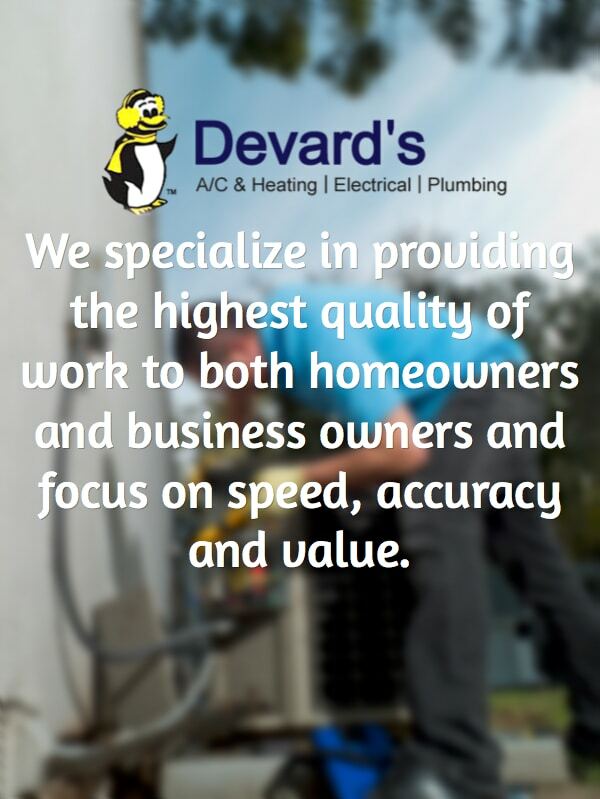 The best air conditioning service Plano, TX folks have available is from us at Devard’s, where we have decades of experience and a complete commitment to customers like you. Why not give us a call at (972) 422-1505 or fill out our form now? We’ll put things right for you — right away.